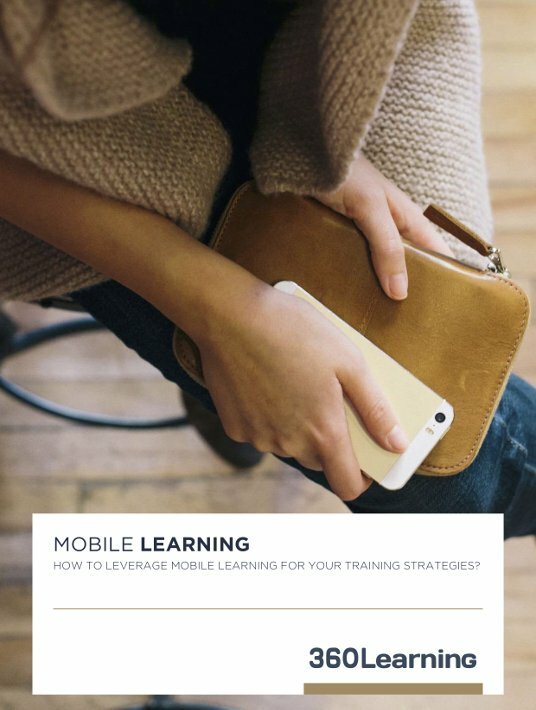 Free eBooks / Mobile Learning – How To Leverage Mobile Learning For Your Training Strategies? Mobile Learning – How To Leverage Mobile Learning For Your Training Strategies? The aim of this eBook is to illustrate the extent to which mobile training is initiating a new era in the field of eLearning, and how you can put this to the benefit of achieving your business goals. It is rather clear that the mobile phone is not like any other piece of technology; it gives way to new uses and disrupts our relation to the world. The Mobile Device, A Key Business Challenge? New mobile uses constitute an unparalleled business challenge: the device has our full attention and we interact with it all day long, no matter where we are. How To Leverage Mobile Learning For Your Training Strategies? Mobile learning stands as an undeniable revolution with respect to your training strategies and business objectives, quite comparable to the invention of electricity which allowed the similar development of opportunities for life and exchange. Creating a mobile training strategy will give you the opportunity to increase the engagement and interactivity of your users with your training offer, to multiply your content’s formats and to develop an integrated and customizable learning experience that will adapt to your learners’ schedules, specific environments and locations. A genuine revolution. The mobile device has already revolutionized the world we live in. In their free eBook Mobile Learning – How To Leverage Mobile Learning For Your Training Strategies, 360Learning illustrate how you can use mLearning to achieve your business goals by increasing the engagement and interactivity of your users with your training offer. Do yourself a favor and check this must-read – it will really help you boost your workforce's performance!